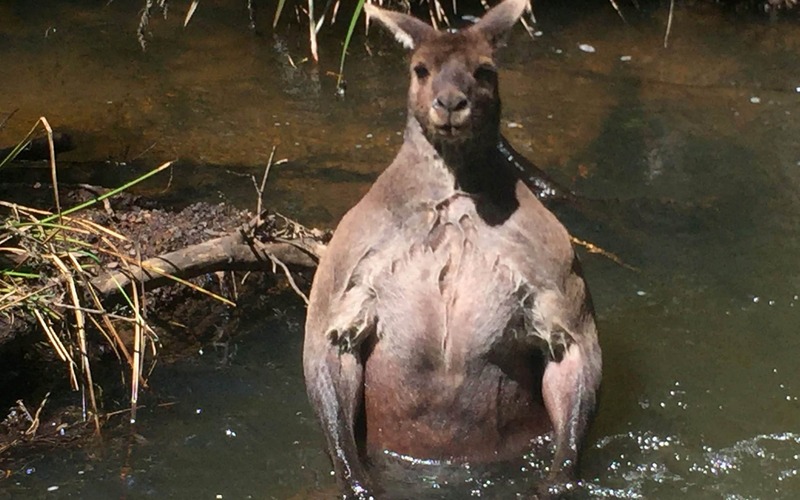 Kangaroo with incredible inflated forms was seen in the Margaret River in western Australia, reports The Daily Mail. Several photos appeared on Facebook, after which they became viral. It seems that the kangaroo was not entirely satisfied with such interventions from the photographer. He was just swimming in the river and sunbathing. Check out our unique collection of photos!